What makes a pumpkin great, besides raising up out of the pumpkin patch for Linus in the Charlie Brown cartoon, is its nutritional and decorative aspects? Sorry about that Linus. One of the fun activities around Halloween is pumpkin carving. I have seen some really creative and scary pumpkins come out of my house. The following is from nutrition and you. “Pumpkin is one of the most widely grown vegetables, incredibly rich in vital antioxidants, and vitamins. Though this humble backyard vegetable is low in calories, it carries vitamin A, and flavonoid poly-phenolic antioxidants such as lutein, xanthin, and carotenes in abundance. Pumpkin is a fast-growing vine that creeps along the surface in a similar fashion like that of other Cucurbitaceae family vegetables and fruits such as cucumber, squash, cantaloupes…etc. It is one of the most popular field crops cultivated around the world, including in the USA at commercial scale for its fruit, and seeds.Pumpkins vary greatly in shape, size and colors. 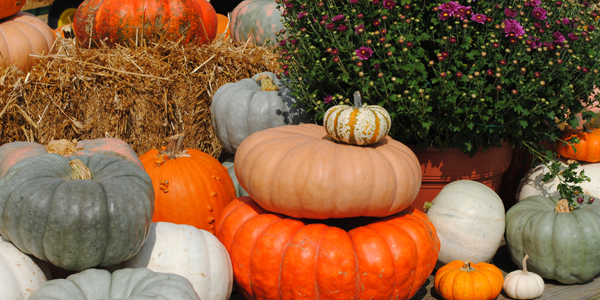 Giant pumpkins generally weigh 8–13 lbs with the largest capable of reaching a weight of over 55 lbs. Golden-nugget pumpkins are flat, smaller and feature sweet creamy orange color flesh.Pumpkins, in general, feature orange or yellow outer skin color; however, some varieties can exhibit dark to pale green, brown, white, red and gray. Their color characteristics is largely influenced by yellow-orange pigments in their skin and pulp. Its thick rind is smooth with light, vertical ribs. Place the colander under running water. As the water runs over the pulp, start picking out the seeds from the pulp. Rinse them in the running water as you pick them out. 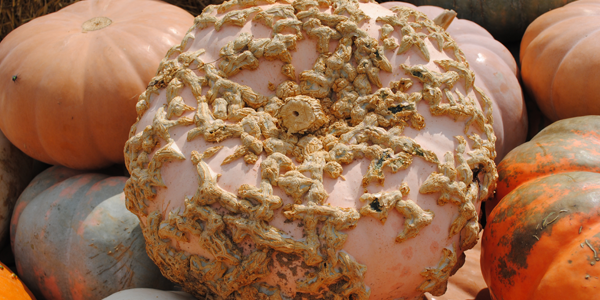 Do not let the pumpkin pulp sit in non-running water. There will be more seeds inside the pumpkin than you’re going to need to use, so once you have a good amount of seeds rinsed, look over them and choose the biggest seeds. Plan on saving 3 times more pumpkin seeds than the number of plants you will be growing next year. Larger seeds will have a better chance of germinating. “When saving pumpkin seeds, you also need to store them so that they will be ready to plant for next year. 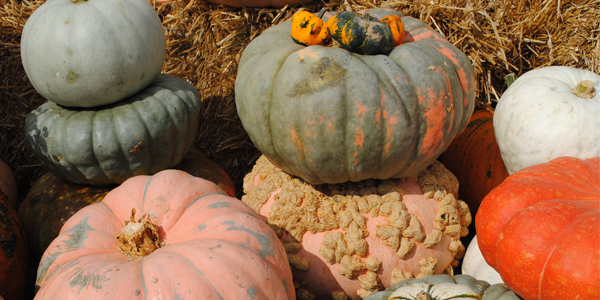 Any seeds, pumpkin or otherwise, will store best if you keep them somewhere cold and dry. One of the best places to store pumpkin seed for planting next year is in your refrigerator. Put your pumpkin seed envelope in a plastic container. Place several holes in the lid of the container to ensure that condensation does not build up on the inside. Place the container with the seeds inside at the very back of the fridge. As you can see The Great Pumpkin has many uses, from decoration, to healthy snacks and desserts. You can make pumpkin bread, pumpkin cheesecake, pumpkin cookies and the list goes on. Save your seeds and grow some pumpkins this next year, they are easy to grow and the benefits from the plant make it worthwhile. “Heirloom Pumpkins do not like wet, soggy soil. Heirloom pumpkins aren’t too fussy, but if you want really big pumpkins you should add lots of great composted manure under each hill of pumpkins. We dig large holes out about the size of a beach ball and replace it with rich composted humus. To that we may add a hand full of bone meal and blood meal. We stir this up really well and use the remaining soil to make our hill. It is on top of this hill we will plant our pumpkin seed. 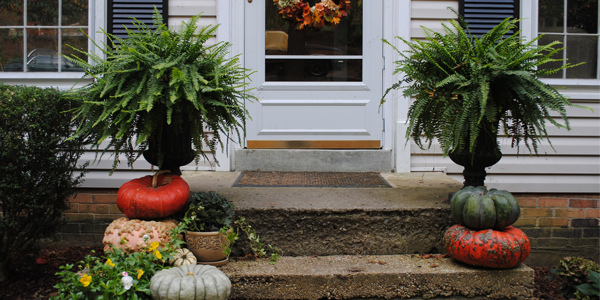 Organic pumpkins are deep-rooted, water-conserving plants and should be watered deeply and infrequently to encourage good vine and root growth. “How To Harvest And Store Pumpkin Seeds.” Gardening Know How. N.p., 30 Aug. 2008. Web. 19 Oct. 2015. “Pumpkin Heirloom Seeds.” Heirloom Pumpkin Seeds. N.p., n.d. Web. 19 Oct. 2015. 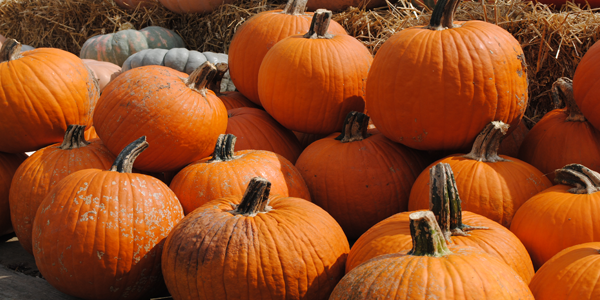 “Pumpkin Nutrition Facts and Health Benefits.” Nutrition And You.com. N.p., n.d. Web. 19 Oct. 2015. All photographs are copyrighted under Proctor Company Incorporated, can not be used without permission.